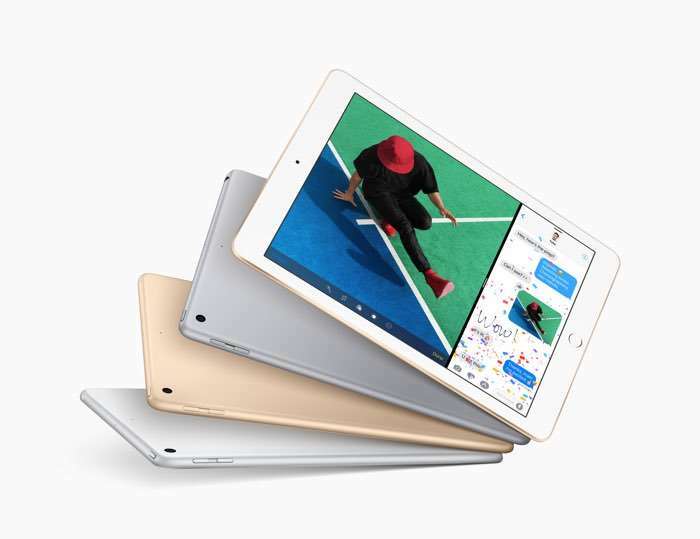 Apple has launched a new 9.7 inch iPad and this new tablet replaces the iPad Air 2 and prices for the tablet start at $329. The iPad comes with a 9.7 inch Retina display that has a resolution of 2048 x 1536 pixels and the device is powered by the Apple A9 processor. Apple today updated its most popular-sized iPad, featuring a brighter 9.7-inch Retina display and best-in-class performance at its most affordable price ever, starting at $329 (US). Designed for unmatched portability and ease of use, along with incredible performance and all-day battery life, iPad is the world’s most popular tablet and the primary computing device for millions of customers around the world. Through the more than 1.3 million apps designed specifically for iPad, customers can do even more, from learning to code with Swift Playgrounds and reading books on the large screen to boosting productivity through Microsoft Office and using multitasking features like Split Screen. Apple’s new iPad comes with a choice of 32GB or 128GB of built in storage and there are WiFi and cellular versions of the tablet. The new tablet is also equipped with an 8 megapixel camera and an Apple FaceTime HD Camera which comes with 1.2 megapixels, you can find out more details at the link below. The new iPad will go on sale this Friday the 24th of March.